Despite its absence in the written text of the European Convention on Human Rights, the European Court of Human Rights now regularly uses the concept of autonomy when deciding cases concerning assisted dying, sexuality and reproductive rights, self-determination, fulfilment of choices and control over body and mind. But is the concept of autonomy as expressed in the ECtHR reasoning an appropriate tool for regulating reproduction or medical practice? 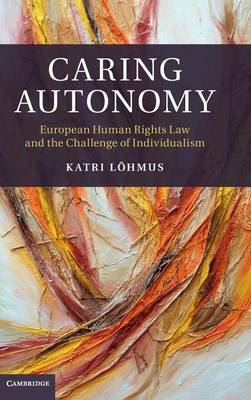 Caring Autonomy reveals and evaluates the type of individual the ECtHR expresses and shapes through its autonomy-based case law. It claims that from a social and ethical perspective, the current individualistic interpretation of the concept of autonomy is inadequate, and proposes a new reading of the concept that is rooted in the acknowledgment and appreciation of human interdependence and the importance of interpersonal trust and care.